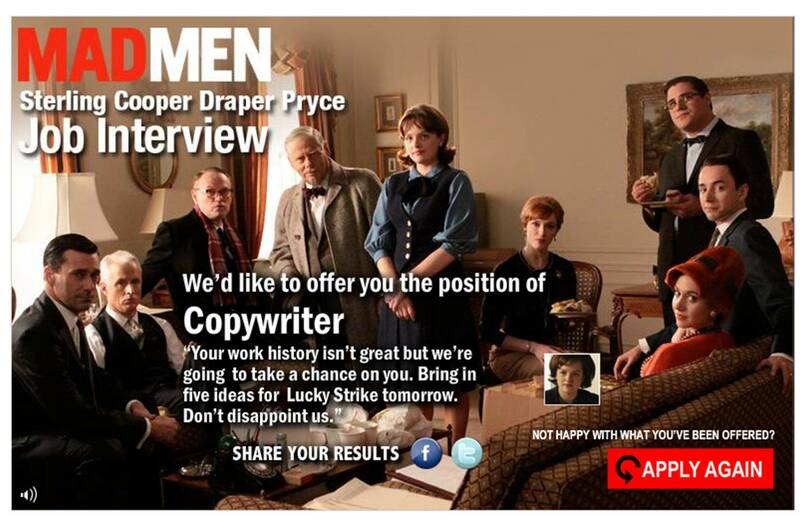 To promote the new series of Mad Men, AMC have created the Mad Men job interview! 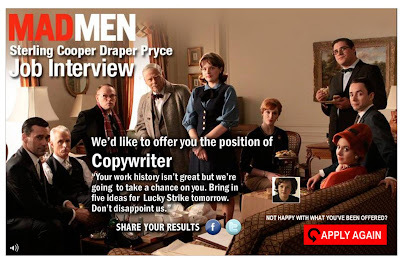 Then share your results through Facebook or Twitter. Maybe not as viral as last year's pre-season 'Mad Men Yourself' activity, but still a nice way of building buzz amongst a loyal fan base. Yeah neat, for fans. I got art director. 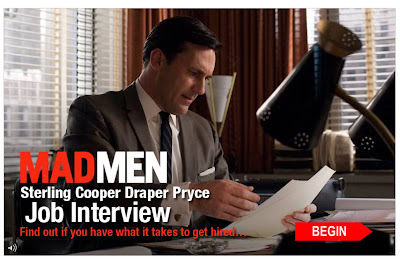 Being Don Draper? In my dreams.